"VOiP clients Fring and Skype are engaged in a war of words over video calling and alleged service blocks. Of course, the real losers are the end users. 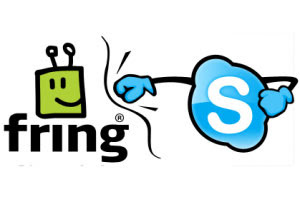 Fring is a relatively small player when compared to Skype, but it has been successful in large part because the service is interoperable with other VOiP services, including GoogleTalk, SIP and Skype. The fact that you can make Fring-to-Skype calls within the Fring app has been a real boon for platforms that either have limited Skype support or for users who want to take advantage of some of Fring’s other features..."